Salt is a Great Grandmother! 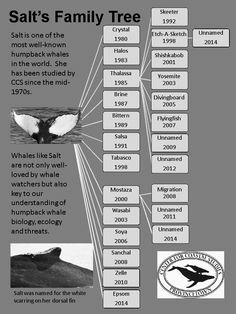 Salt, a North Atlantic humpback whale, has been tracked by the Center for Coastal Studies (Provincetown, MA) since 1970s. She became a great grandmother this year.